Our Photographer Andrés used to have a cafe in the Bay Area and this fried fish sandwich was the biggest seller. 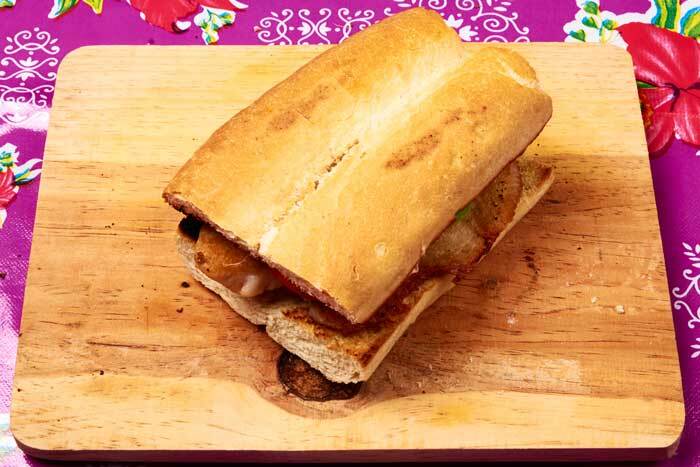 It isn’t a traditional Mexican recipe but the chipotle mayonnaise gives it some Mexican flavor. 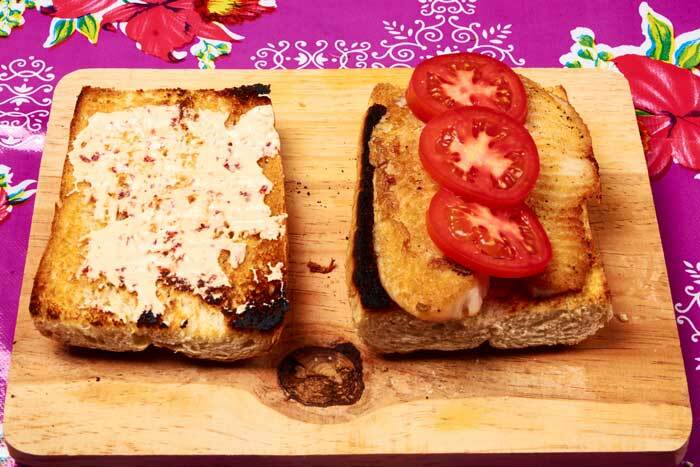 We wanted to share it with you because it is an outstanding sandwich. 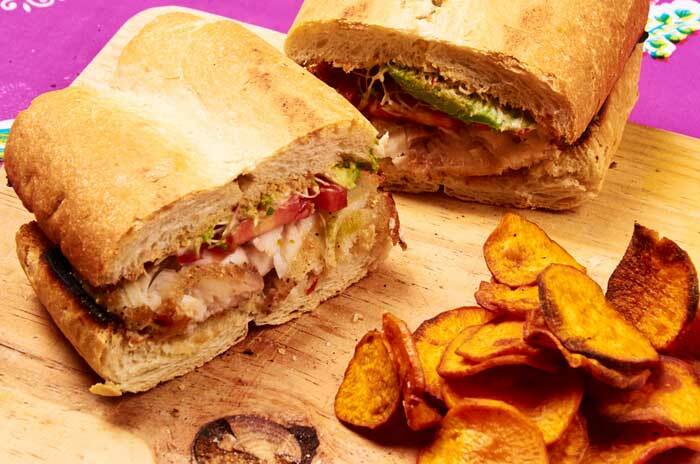 If you choose a mild white fish, the sandwich has a great fish taste without tasting “fishy”. We used tilapia for this one. Start with one one two canned chipotle peppers. 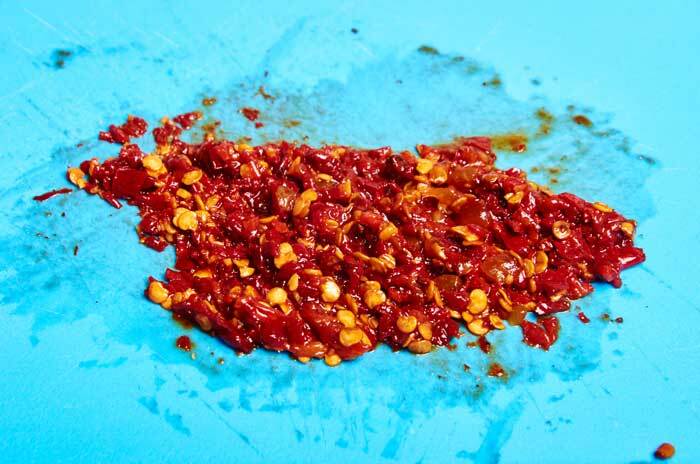 Add one or two spoonfuls of the chopped chipotles to the mayonnaise and stir to incorporate. Season the fish fillet with salt and pepper on both sides. 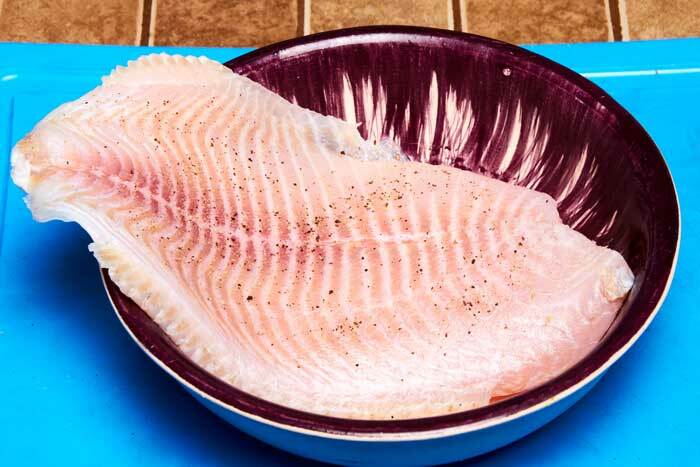 Cook the fish in a well oiled pan until nicely browned on both sides. 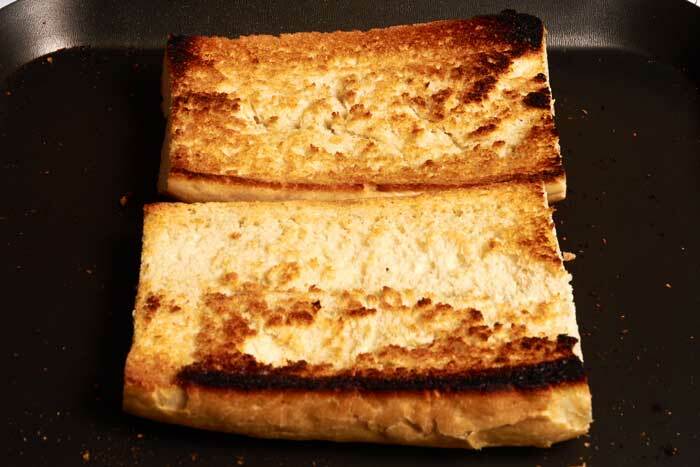 Start by pan toasting your bread. 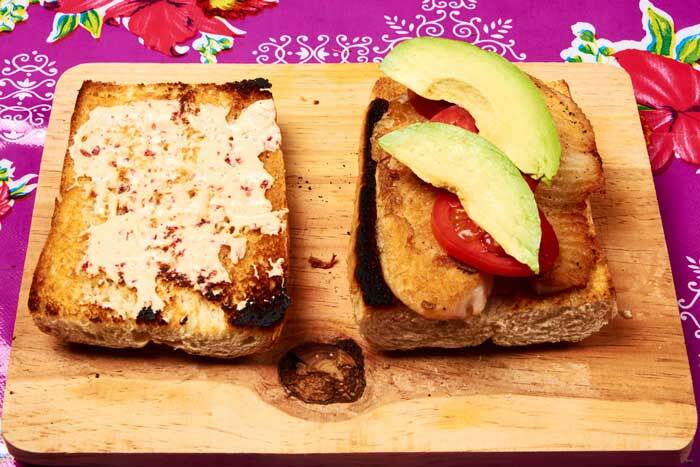 Toast both sides. Extra toasty is nice with this sandwich. 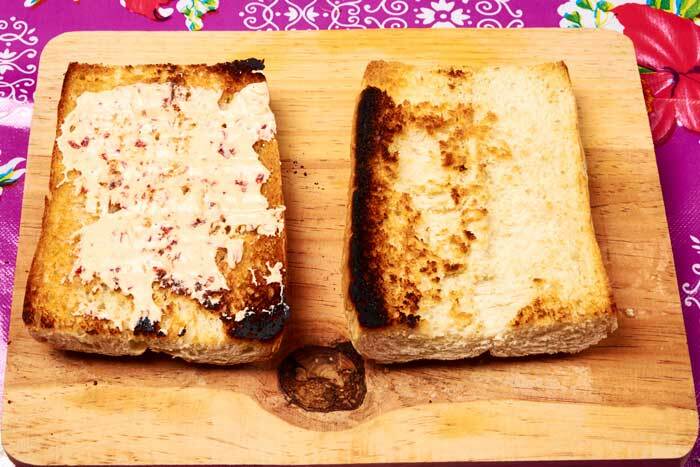 Once the bread is toasted, spread the chipotle mayonnaise on one or both sides of the bread. Andrés prefers it with mayonnaise on only one side. I love mayonnaise so it gets slathered on both sides. Since it’s his recipe, we prepared it his way. After spreading the chipotle mayonnaise, place the fish on the bottom piece of your bread. Add two or 3 slices of avocado. Slice in half and serve with homemade sweet potato chips. Finely chop 1 or 2 canned chipote peppers. 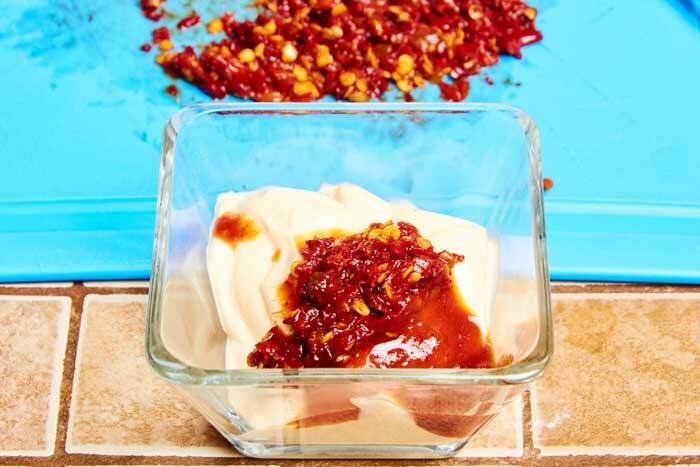 Add 1 or 2 spoonfuls of the chipotles to your mayonnaise and mix well. Taste and add more chipotle if desired. 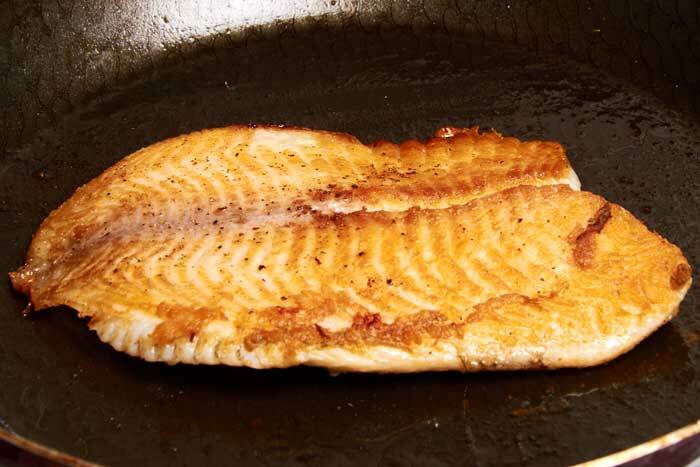 Fry the fish in a well oiled pan preheated of medium heat until nicely browned on both sides. Spread the chipotle mayonnaise on your bread. 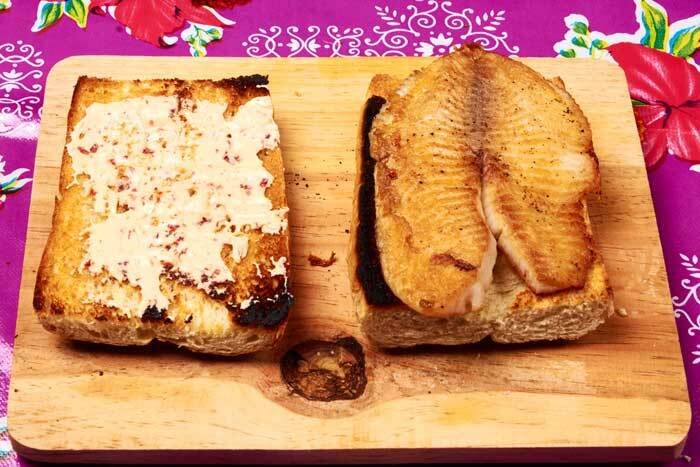 Add the fish fillet to the bottom piece of the bread. 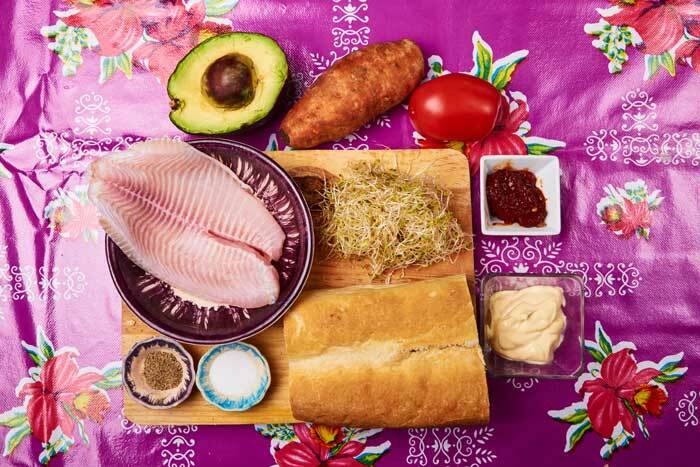 Top with tomato and avocado slices and the bean sprouts. 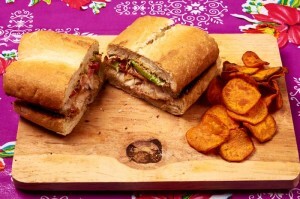 Cut the sandwich in half and serve with sweet potato chips. 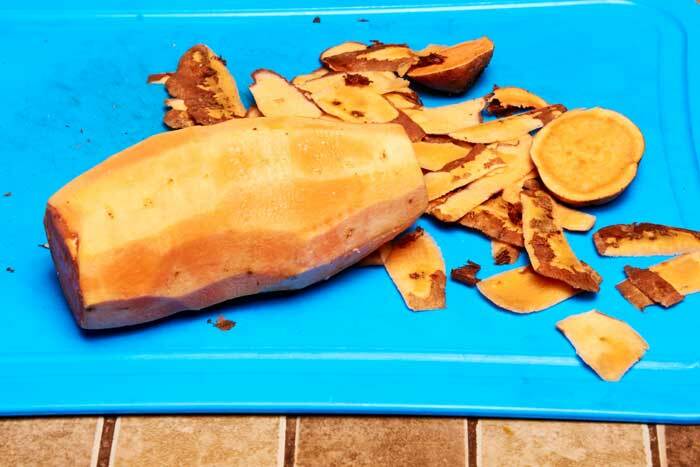 Remove the ends from the sweet potatoes and peel. 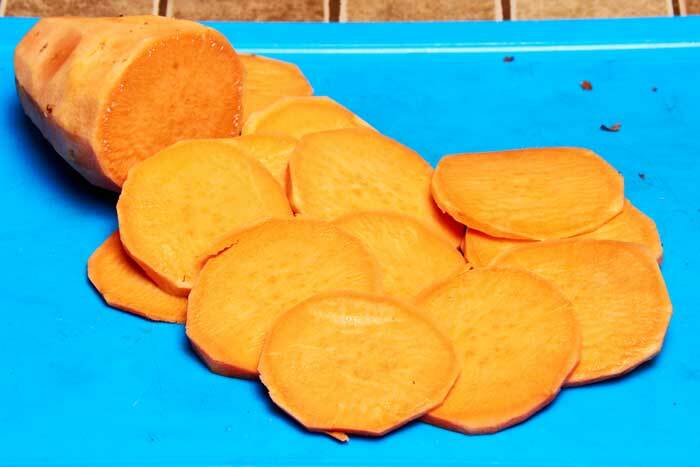 Slice the sweet potatoes as thinly as possible. Put the sweet potatoes in boiling water and cook for two minutes. Drain the sweet potatoes very well. 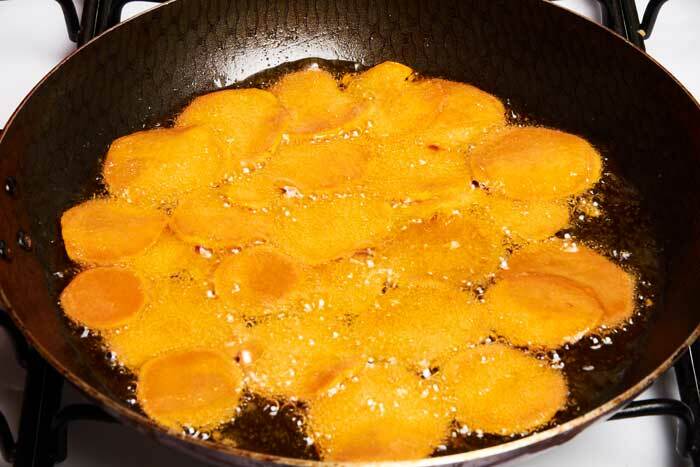 In 1/2″ of preheated oil, fry the sweet potatoes until the have turned golden brown. Don’t overcrowd them in the pan. You will have to cook them in 2 or 3 batches. Watch them carefully. They go from golden to burnt very quickly. When they are golden an crispy, drain them well on paper towels. Recipe to make homemade sweet potato fries. Cut off the ends of the sweet potatoes and peel. Slice the sweet potatoes very quickly. 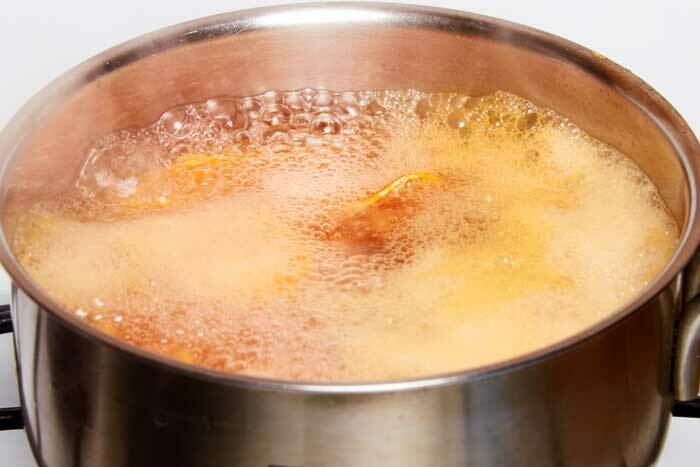 In a medium-sized pot bring 4 cups of water to a boil. Add the slice sweet potatoes to the boiling water. Drain the sweet potatoes well. Preheat 1 cup of cooking oil over medium-hot heat. Add 1 layer of sweet potatoes to the hot oil. Cook until golden brown turning once. Drain well on paper towels and sprinkle with salt.